Your Personal Data is Stolen. Now What? There's a difference between a credit freeze and credit monitoring. Thieves who broke into a Westmont office building last February made off with a hard drive from a medical billing service containing the personal and financial data of thousands of consumers, putting them at risk for identity theft. Among the many whose information was stolen: a worried woman who we'll call Gloria. She doesn't want her last name used because so much of her personal information has already been exposed. "They said it included my Social Security Number and all of my personal information so I was pretty frightened," said Gloria. She said she learned about the break-in via a letter, sent to her two months after the theft, which informed her of the problem and gave her steps on what she could do to protect herself. "So for two months, my information has been floating around out there and now I'm supposed to take care of this situation on my own?" she questioned. 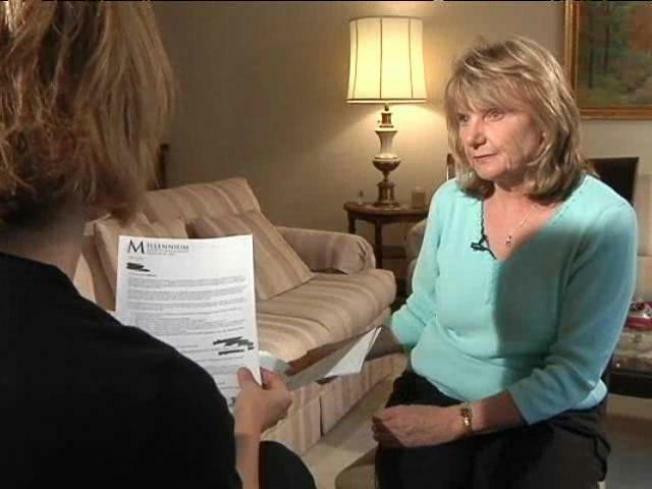 When she pushed back, Gloria said the billing service provided her with a free credit monitoring service from Equifax. It was exactly what she wanted, but when she tired to trigger the protection, she learned she wasn't eligible. "I was informed the reason I was rejected was because I had already put a credit freeze on my accounts," she explained. Gloria had previously placed a credit freeze on her credit file at all three major credit bureaus to protect herself from identity theft. She said Equifax told her she couldn't have both a freeze and monitoring. She would have to choose which protection service she wanted. "My first question was if I have to choose, should I choose a credit freeze or should i choose credit monitoring, which one is more secure? But the second question is why can't I have both?" There's a difference between the two: a credit freeze stops anyone from opening an account. Credit monitoring is more of an early-warning system which flags consumers to any changes on their accounts. "If you're really concerned about people opening accounts that you don't know about then the credit freeze is the top of the line product," explained Cate Williams, the Vice-President of the credit counseling agency Money Management International. "The freeze is really to protect any new accounts being opened and that's always your worry when you've had your identity or at least identifying information stolen. Williams said that as long as the freeze is on, the monitoring wouldn't offer any additional protection. "Her credit's isolated at that point and it's up to her to unthaw it," said Williams. Equifax says even its representatives cannot see Gloria's files at the two other credit bureaus if a freeze is on, which points to the strength of the option. An Equifax spokesperson says Gloria can keep the freeze on at its company and still get the free monitoring, but would have to lift the freeze at the other two credit bureaus. Williams said the upside to taking off the freeze and getting the free credit-monitoring service it that someone else would be paying for it, and it comes with other benefits such as free credit reports. All of this is a lot for Gloria, who points out she did nothing wrong but inherited a load of work. "Why is it so hard to protect myself? It just shouldn't be this difficult. It's a lot of work," she said.